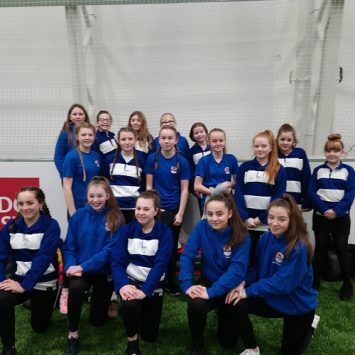 A group of Year 7 and 8 girls took part in Cardiff Blues Rookie Rugby Day. 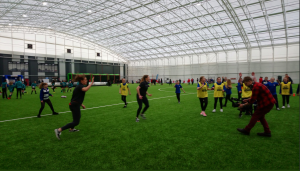 The event attended by 200 girls from across the region was held in the impressive indoor Barn at the University of South Wales Sport park in Trefforest. 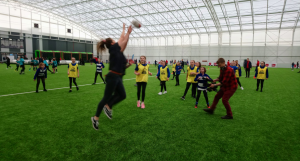 During the day the girls visited twelve different stations each focussing on different rugby related skills and came out as the winning school in the line out throwing challenge. 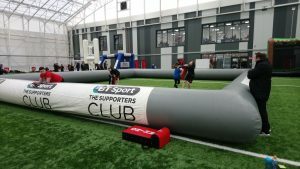 The event had a tremendous atmosphere with enjoyment being the key emphasis. 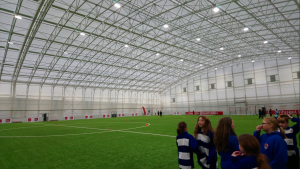 As a result of the day the girls have now committed to training every Wednesday with the aim of playing their first competitive games in March against other schools. Mr Manley said ” What a fantastic event, really well run by the Blues. It was incredible to see so many young girls really enjoying the sport. 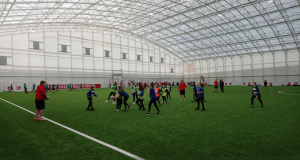 Our girls were outstanding and all seemed to thoroughly enjoy the day and were asking can we go again, it was a pleasure for Mrs Davies and myself to take them”.